Family-run Guest House "B&B" ( Bed&Breakfast) and Staying with no meals are acceptable. Welcome travellers from all over the world!! We welcome a family with babies! It's only 3 hours to get this sea and nature from Tokyo ! Children, 3 years old or under are free of charge ! It takes about 15 minutes by car from "Kisami Ohama"beach to "Shirahama Ohama Beach", the nearest one from Sakuraya Pension. On the white sandy beach surrounded by the sea and the mountain, you will feel relaxed and refreshed at our family inn in Shimoda. 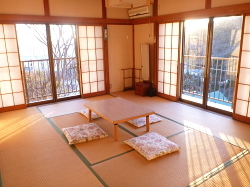 Pension Sakuraya (Guesthouse) is located in a most popular beach resort "Shirahama", on a quiet hill, 4 minutes by walk (400 meters) from the cool beach. You, backpackers and everyone will be welcomed. Accomodation "Pension Sakuraya"is one of Ryokan where to stay, which has Japanese traditional rooms and bed rooms in Shimoda. 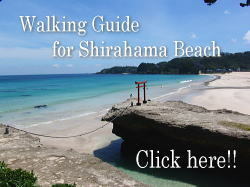 Please have a wonderful sight-seeing and travel in Shimoda, Japan ! Please print this page out and bring it when you come to Sakuraya. 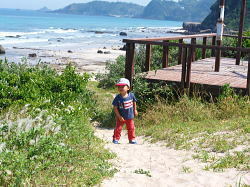 "Sand ski and secret cave in Shimoda, Toji area"
There are some secret points, so exciting!! In Sakuraya, we provide Free Hotspot (Wi-Fi) "Wireless LAN". You can connect the internet by your own computer or smart phone for free at anywhere, anytime in Sakuraya. Would you like to go to Niijima (Izu seven islands) from Shimoda by ship? Japan Travel-Phone is a nationwide telephone service for those in need of English language assistance and travel infomation. or Kyoto(area code 075)city dial 371-5649 respectively. The charge for your call is 10 YEN per minute. JR provides a convenient telephone infromation service in English, Korean and Chinese for quick and complete JR information about train time schedules, the faster JR route from place to place, locations of reservation offices, and so forth. Reservations cannot be accepted by telephone service. Japan Post Bank has an International ATM service, and you can get a cash with your credit card. 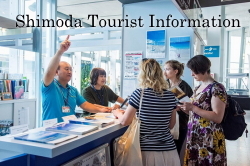 This is a website of Seamon which is the information office in Shimoda and provide a lot of informations of activities in and around Shimoda city. 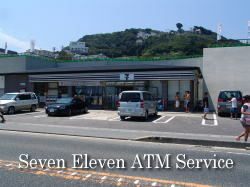 They have an information counter on the second floor of Roadside Station Kaikoku Shimoda Minato. Information and Facilities / Charges /Access / Reservation / Room availability / What is Pension?